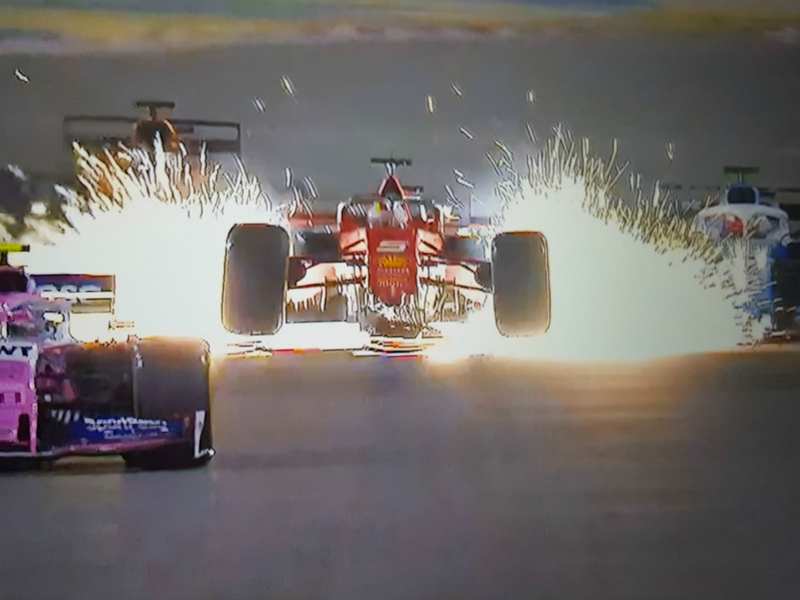 Good performances are not without pain for the likes of Charles Leclerc and Carlos Sainz, while Sebastian Vettel flops on the big stage again. Check out the Bahrain Grand Prix driver ratings from Late Braking. Lewis Hamilton: Mercedes have proved in Bahrain why they are consecutive five-time double World Champions. You won’t always have the best car on the grid, but consistency and reliability are key in this sport. 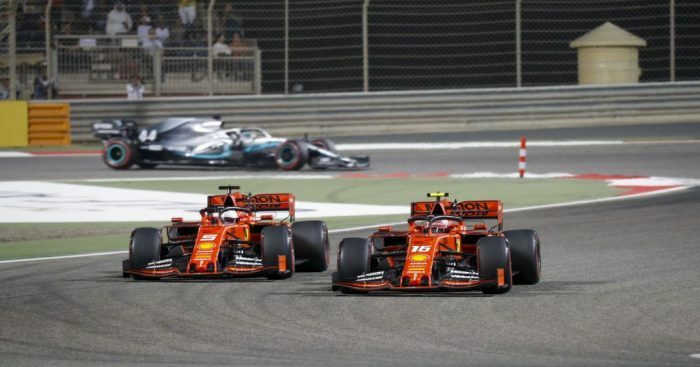 Some might say this is one of Lewis Hamilton’s luckiest wins and you can understand the argument, but, in a car that was clearly not as fast as the Ferrari he kept pace with Vettel and then deployed some classic Hamilton wheel to wheel race craft, swooping around his long-time rival to seize P2. Valtteri Bottas: In Melbourne, Bottas was the unbeatable man, finishing 20.8 seconds clear of his team-mate. Two weeks after and Bottas seems to have returned to his former self. He was duelling with Verstappen for more of the race and was unable to keep up the pace with the top three. Charles Leclerc: My heart breaks for Charles, but, Leclerc demonstrated in style that age is merely just a number. Having had a near perfect start to the race weekend, securing the fastest time in two of the three practice sessions, and then demonstrating his raw talent in the form of an awesome qualifying lap which secured him pole, he then had a slightly shaky start to the first night race of the season. Beaten into Turn 1 by a four-time World Champion for many could be confidence destroying, but Charles kept his cool and came out on top of a scrap with Hamilton then, after pushing hard, delivered a ruthless move on his Tifosi team-mate and snatched back the lead. When everyone watching thought all was said and done, Leclerc screamed down his radio that something was wrong with the engine. Max Verstappen: An encouraging drive for Max; flying the flag solo for Red Bull at the start of the race, he did well to keep in touch with the front runners. A slow puncture after contact with Carlos Sainz saw Red Bull pit Max a lot earlier than the teams had expected, this turned out to be a crafty move as it started a flurry of pit stops from the drivers around him. Sebastian Vettel: After being beaten to pole by his significantly younger and massively inexperienced team-mate, Vettel would be hoping for the perfect start to launch him into first place and kick start his 2019 title hunt. Well, ask and you shall receive. Vettel demonstrated another expert start to a race and quickly secured the number one spot on the first lap. As the race aged, it became clear that Vettel didn’t have the pace to withstand the pressure from his team-mate and quickly fell behind. Settling it in, it looked as though Vettel’s consistency would carry him through to Ferrari’s first 1-2 since Hungary 2017, but it was not to be. Lando Norris: The last time a McLaren finished in P6 or better was when Alonso managed a P5 place right at the start of the 2018 season in Australia. There is no denying that Norris drove like a future champion. Scrapping brilliantly with the rest of the midfield and being ruthlessly concise with his overtaking manoeuvres he demonstrated that the Papaya car really does have pace. Kimi Raikkonen: The midfield was competitive last year, but this year it is anyone’s game. One mistake could send you back to 14th place but mistakes were not in the veteran’s vocabulary. Showing what experience can do, Kimi delivered a brilliant result for the Alfa Romeo team. One of the most brilliant parts of Kimi’s racecraft is not his overtaking or defending, but his patience. Pierre Gasly: Another race weekend for Gasly and another race starting outside the top 10. This is already becoming a trend that the youngster is going to want to buck. With the new aerodynamics in the 2019 season, it should be even easier for the Red Bull to follow, attack and pass its midfield counterparts, but this is posing more of an issue for the Frenchman than one might have thought. Alexander Albon: It was good to see Albon emerge from his shell in Bahrain and take it to the big names in Formula One. Antonio Giovinazzi: Gio adds another race to his tally where he’s made contact with either another driver or the wall. Daniil Kvyat: Not a bad run for the Russian, he can go away from the second race of the season and not feel too shabby about his performance. Kevin Magnussen: The Haas was clearly one of the f-haas-test cars on track this weekend but something about their qualifying pace just couldn’t translate into a strong Sunday performance. George Russell: Once again George manages to bring the Williams home in one piece and finish in front of his seasoned team-mate. This has to be the objective of the F2 champ every race weekend to prove to the teams around him that he deserves to be more than a back marker. Robert Kubica: A better performance this weekend then what we saw in Australia but the only man to drop down to two laps behind the leader. Romain Grosjean: Tough to analyse any driver when they tumble out of the race in the first few laps. Romain took a grid penalty for blocking Norris in qualifying and started in P11, by the end of the first sector, he was last. Carlos Sainz: McLaren genuinely brought pace to Bahrain and it was so refreshing to see, unfortunately for Carlos Sainz, he was unfortunate to be fighting against one of the most ruthless men in the sport – Max Verstappen. Daniel Ricciardo: The saying goes “when it rains, it pours”, and this was most definitely the case for Renault this weekend. Both cars out in one corner with completely unrelated issues is always a tough one to take. Ricciardo on the other hand drove well, but that’s all he did. Maybe the Hulk has the pace due his years with the team but Daniel just couldn’t match his team mate. They attempted the one stop and just didn’t have the pace. And now a word from the boss on the #BahrainGP.